The first 6 adults are included in the $200 per night rent. Each adult exceeding the initial 6, must pay $25 per night. Kids under age 16 stay free. 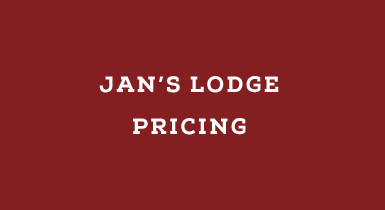 All guests that spend the night at Jan’s Lodge must be accounted for when payment is made. Showers are $5 per person for unregistered customers. There is no charge for anyone that uses the shower that is staying at Jan’s RV Park & Lodge. The above link will connect you with VRBO. This is for Jan's Lodge booking only. 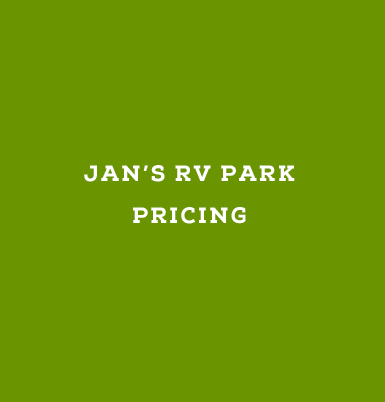 Jan's RV Park operates on a first come first serve basis and only takes reservations for long term stays.